We still have flowers available for special occasions from our greenhouse. Contact us for your floral needs. Experience the garden first hand! We provide the scissors and buckets to cut into. You can pick your own bouquet straight from the fresh blooming flowers . 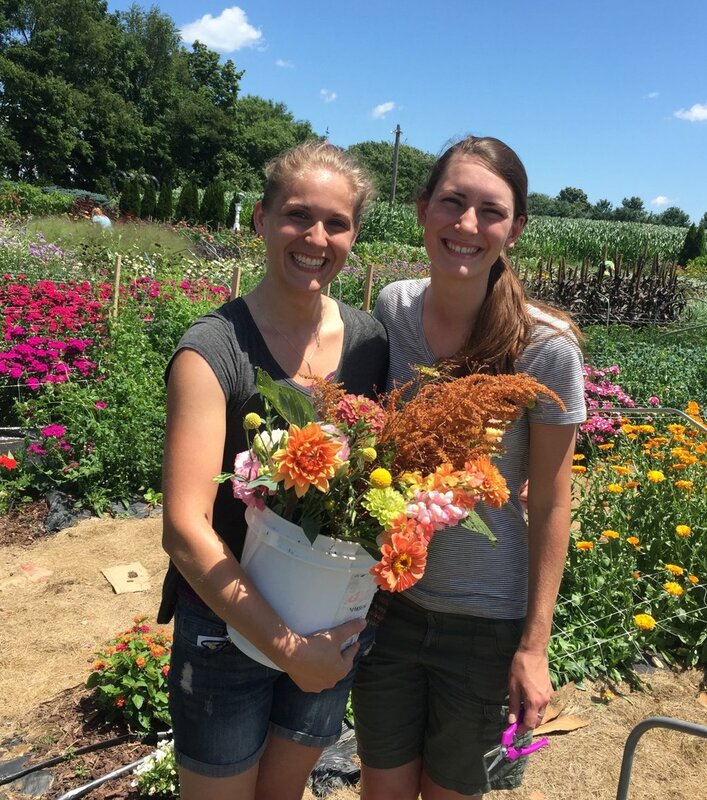 It is our opinion that fresh flowers make you happy--and picking them is even more fun! Whether it is a special occasion, family fun night, girl's night out or even a date, the garden is always an unforgettable time. We will also be offering our "Pay It Forward" program again this year! With any "Pick Your Own" purchase, we offer a free small vase for you to fill for no additional cost! We only ask that you use this vase of flowers to bless someone's day, whether it's a neighbor, a coworker, or even a stranger! If you are purchasing a large or extra large bucket of flowers please bring some clean buckets to transport your flowers home. "It is so beautiful here and to be able to take home some of this beauty for such a reasonable price is a real joy"